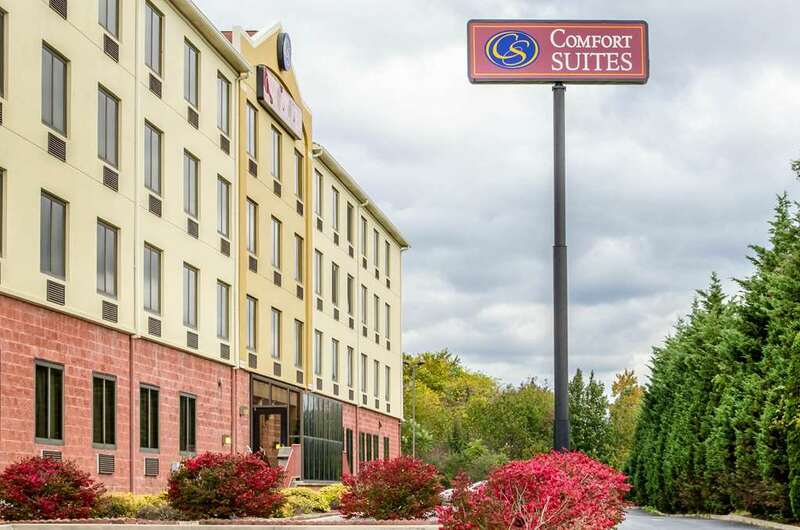 Get more of the space you need to spread out, relax or work at the Comfort Suites Grantville-Hershey North hotel in Grantvilley, PA near the Hersheypark amusement park. This smoke-free hotel is located near destinations like ZooAmerica North American Wildlife Park, Outlets at Hershey Mall, Fort Indiantown Gap, Pennsylvania Farm Show Complex and Hollywood Casino at Penn National Race Course. Enjoy amenities like free hot breakfast, free WiFi, fitness center, indoor heated pool and free weekday newspaper. Spacious suites include a refrigerator, microwave, coffee maker, hair dryer and sofa sleeper. Also, earn rewards including free nights and gift cards with our Choice Privileges Rewards program. All Comfort Suites are smoke free.